Patrick G. Barkman was born October 24, 1967, in Big Spring, Howard County, Texas, a fifth-generation Texan and the son and grandson of veterans. 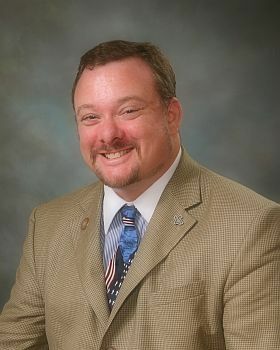 Raised in Johnson County, he graduated with honors from Cleburne High School and earned his Bachelor of Arts Degree in Political Science and Masters Degree in Public Policy and Administration from Baylor University. Barkman worked his way through law school at the University of Houston Law Center and was called to the Bar on June 18th, 1998. HE has been employed in the private practice of law in Johnson County and surrounding areas since then. Mr. Barkman is admitted to the practice in all state courts by the Supreme Court of Texas, the Supreme Court of the Cherokee Nation, and in US District Court for the Northern District of Texas. He is a member of the College of the State Bar of Texas. Patrick Barkman and his wife Marla Jean have two sons.